Bitspower Black Sparkle "T-Block" fitting has many uses. Use for 90 degree turns by putting a stop plug on one end. Introduce a temperature sensor inline in your water cooling loop. Or if you are running a fillport, these are a must have. 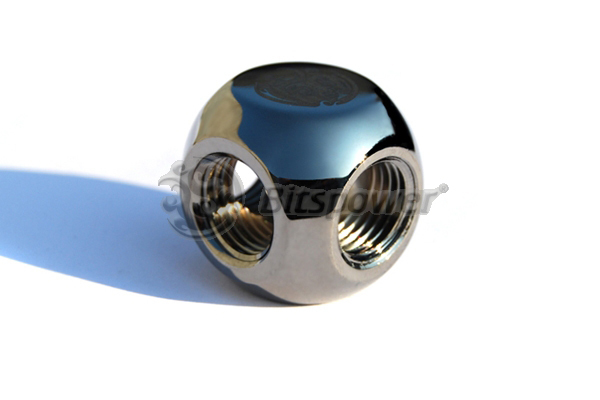 Made from high quality brass - Fits all G1/4 barbs or compression fittings.